Metal Australia - Australian Heavy Metal Music, Bands, Events & More. 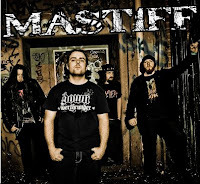 Interview with Melbourne groove metal band MASTIFF. Thrash Metal band from South Australia. Details of these events are from various sources. If we have missed an event or a band in one of the events listed, please let us know.